Montagu wants to go GREEN! Rethink the Bag! Montagu also wants to go GREEN. Like Greyton, that can be proud of achieving the singular distinction of being the first town in the country to successfully phase out single-use plastic shopping bags, Montagu has accepted the challenge and hopes to follow suit! As from July we will start to encourage everyone in our community to get into the habit of taking reusable carrier bags along when shopping and to make it our challenge to NOT buy plastic shopping bags. Most of us have fallen into the nasty trap (comfort zone!) of buying single-use plastic bags at the shop almost every time we go! We are being guided in this process by Two Oceans Aquarium and their Senior Bird Keeper, Hayley McLellan who founded the movement Rethink the Bag and also Nicky Vernon from Greyton who, with their team of volunteers, have already been through all the teething problems to get the Greyton community and businesses on board. 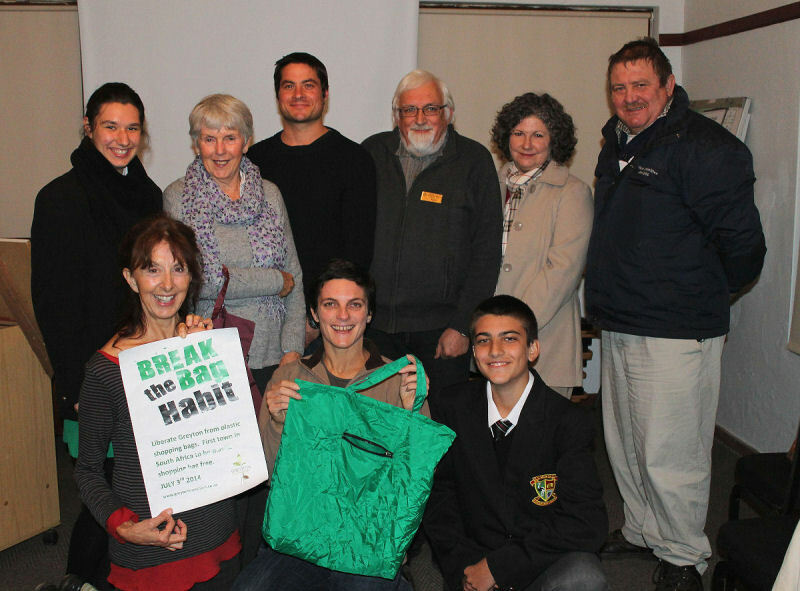 Slowly they could report a series of successes until victory day finally arrived when they were able to announce that the Greyton's community was completely committed and the town was officially rid of single-use plastic bags. Currently, the first step is to source suitable alternatives to the plastic bag .... strong reusable bags. It is hoped to also employ some local seamstresses to assist on an ongoing basis. We realize that it will be crucial to get the businesses, in particular, to buy in. The community in general have been unbelievably enthusiastic and supportive to date and so many have already come forward offering their help where needed. The project will be driven by our local Rotary Club in collaboration with the Montagu-Ashton Tourism Association, the Eco Club, several volunteers who are keen to assist and very likely we hope, the Montagu High School's Landsdiensklub. Thursday, July the 3rd, is International Plastic Bag Free Day. Why don't we make a concerted effort to work towards kicking this very meaningful project off on this day! Step 1 would be to NOT go shopping without being armed with enough reusable carrier bags in the car (not single-use, but reusable bags)! It will require effort to remember to take some along - according to many - but it IS possible to get into the routine of doing so! Anita Swart (Montagu High School), Janet Jackson, Aure Metelerkamp (Montagu High School), Willem Scott (President Breede River Winelands Rotary Club), Nelda Wiese (Rotary). Jacques Kriel (Langeberg Municipal Councillor), Nicola Vernon (Greyton), Hayley McClellan (2 Oceans Oceanarium) and Johann Muller (Montagu High School).